Hello and welcome to my fan site about Lifetime Kayaks (Dragonfly Innovations). The reason for the creation of this blog was to pass on information such as accessories available, reviews, video links and information from others for those that have purchased a kayak already or those thinking of purchasing one in the future. I purchased a Dragonfly Innovations Kayak around January of 2010. The model I chose is known here in Australia as the Dragonfly Angler 3.0. 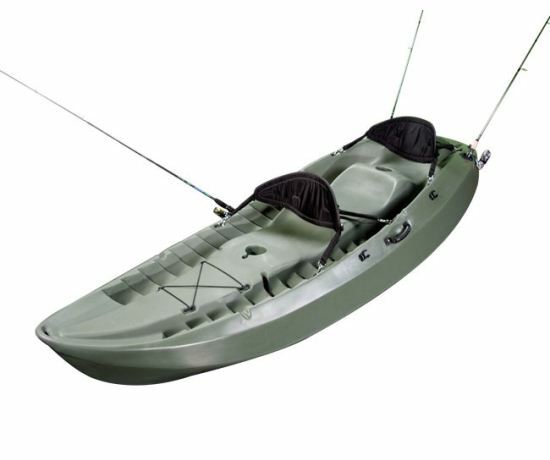 The same kayak under a different name can be purchased here in Australia and the United States called the Dragonfly Sport Fisher or Manta (now known as Lifetime Sport Fisher and manta). Some of the reasons I purchased this kayak is that it suits my abilities as a beginner to the kayak scene needing a stable platform to fish from or just to enjoy a day on the water with my wife and daughter. It more than suited both these tasks. Another factor in my decision to purchase this kayak was to upgrade it with the sailing kit and motor mount accessories that have been a long time coming. In the future I will provide some photos, an in depth review of my experiences using the Angler 3.0 and some more information on the accessories. It's been some time since I have posted anything in my blog as I have not been able to get out on the water much in the past 2 years. Not wanting to be out of the kayak scene totally I took advantage of being dry docked and began to make several modifications to my Dragonfly Innovations Kayak. In the next few months I shall begin to blog again about my modifications and those of others I have seen around the net. There are some really imaginative setups and some great all round yak pimping that I would like to show that have inspired some of the work I have done. 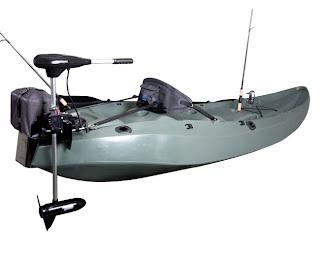 I will be sure to recognize some of the You Tubers that post videos under the "poor mans fishing kayak" tag. Please check in again soon or share some of your own kayak pimping. In a recent email received from BCF it would seem that Australian owners of a lifetime kayak will be waiting some time yet for the motor mount fitting the Angler 3.0 or Lifetime Gator (see side note below). This has been an ongoing saga as people were posting things on the net that did not exist (certainly not in Australia). We are looking into some samples of motor mounts for them and at some stage we should have them. However as this can be a drawn out process they may not be in stores for another six months or so. Not sure why there is a delay. These mounts have been available in the U.S. for over 7 months. Let's hope BCF gets the same custom mount as available from Lifetime direct. Even better would be for BCF to look at getting the sail kit manufactured as well. Just a side note: I recently observed the Angler 3.0 being sold by a Queensland camping store under a new name. It was the camouflage model and being sold as the Lifetime Gator. The photo was the same as used by Lifetime in their catalogue. Some retailers must be importing these direct from Lifetime in the U.S. I wonder if they could import the motor mounts as well? 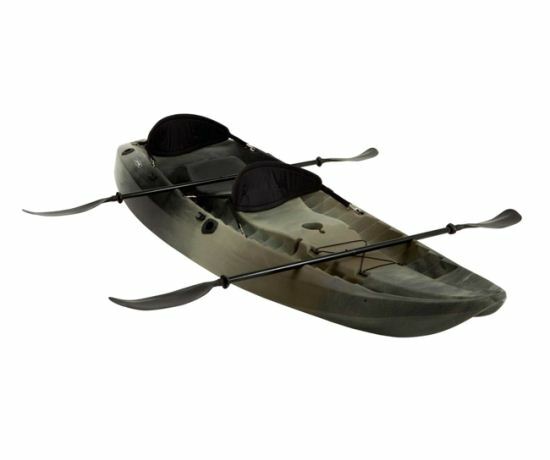 Lifetime have just listed a new Camouflage Sport Fisher Kayak in the online store. It meets all the same specifications as the original olive green version but prices the twin color camouflage at an extra $100.00USD. It appears to be the same color combination that has been available in Australia for the last couple of years. I own the camouflage version and have to admit it maybe worth the additional money. It certainly looks great. Something interesting is Lifetime now calls the olive version the "Tandem Fishing Kayak" and has given the name "Sport Fisher" to the new camouflage model. Would be great to see if a matching black and camouflage sail kit is released. Lifetime this week has released the long awaited Motor Mount to suit all Sport Fisher and Manta Kayaks. 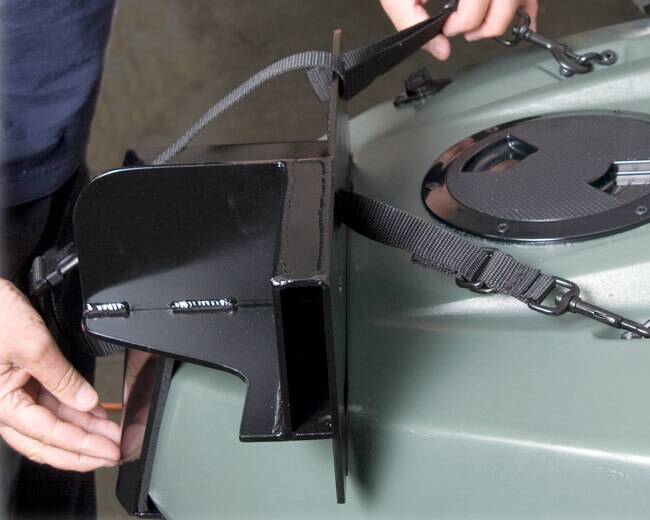 A few details provided by Lifetime indicate that all accessories required to fix the mount to your kayak have been included in the kit. Interestingly what is not included is the handle extender for the motor control which was originally going to be included according to the initial Dragonfly information I have and pictured in original Dragonfly Innovations photos. 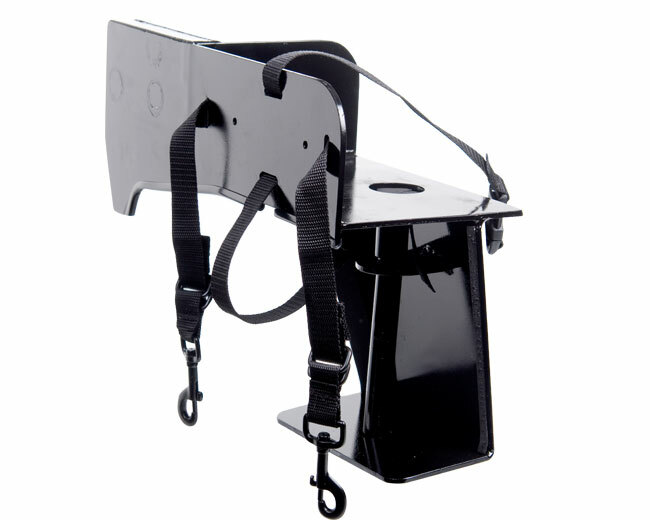 The mount is made from a sturdy aluminium and is powder coated black. It's a smart design allowing you to mount a motor to your kayak without the need for drilling any mounting clips. It also keeps your battery strapped firm and dry by use of a PVC dry bag and strap setup. The Lifetime Online Store is currently listing the Motor Mount at $249.99USD which seems a bit on the pricey side. I can only hope the local Australian market will set a lower price. I'm certainly looking forward to testing this out and will update here with a hands on review when I can. I recently asked Lifetime Products for an update on when Manta Tandem and Sport Fisher (Angler 3.0) Kayak accessories would become available or if anything new was in development. Jan Claborn from Lifetime PR was very quick to get back to me with some answers. There was good and bad news that I will detail further below. My main queries to Lifetime Products were in relation to the Motor Mount and the Sail Away Kits. Bad news first and this for me was vey disappointing. According to Jan the Sail Away Kit (dagger board, rudder set and sail concept/prototype photo as above) is not expected to be put into production. This was the one accessory that I was most looking forward to using. I'm not sure why a decision to not go ahead with the sail kit was made. In all the kayak forums that I participate in Kayak Sailing is big and people are buying or manufacturing sails to suit their kayaks. I hope the newly designed sail kit for the Calypso and Daylite range of kayaks are successful for Lifetime and thus show the potential market for extending a sail kit for their other kayak ranges. There was some good news about the Power Mate Motor Mount (concept/prototype as shown above) being put into production in the very near future. An actual release date is not available but keep on the look out at Lifetime's Web Store (http://www.buylifetime.com/). Hope this answers majority of the questions I receive from emails and a huge thanks to Jan Claborn from Lifetime Products for providing a detailed response. The Dragonfly Innovations website that formerly showed the range of kayaks and accessories is no longer in use as of a week and a half ago. Strangely, the website www.dragonflyi.com is hosting some completely unrelated blog. I shall keep checking the old site and update here should this change. If you are interested in the current range of kayaks and accessories then I would suggest visiting the Lifetime website http://www.buylifetime.com/. Unfortunately information is very limited and the range of accessories being advertised is also very limited from what was previously available on the Dragonfly Innovations website. I have found what I think is a German site carrying a PDF catalogue produced by Lifetime that has some really detailed pictures and information regarding accessories and the full range of kayaks. Some omissions were noticed from the old Dragonfly site and the PDF Lifetime catalogue. 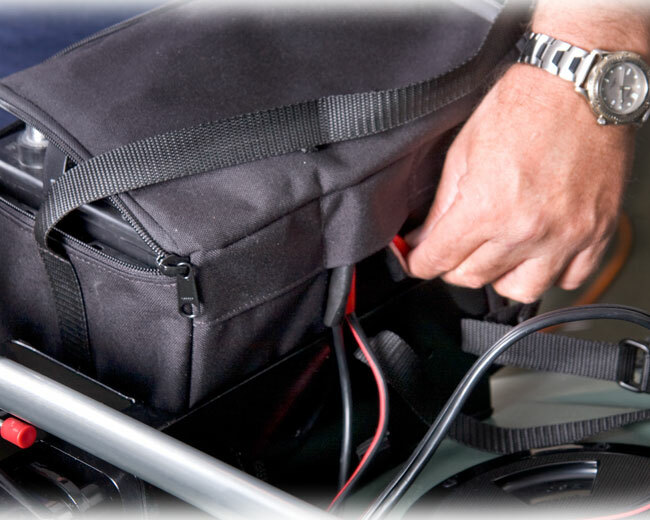 One was the absence of the kayak trolley made specifically to suit the Sport Fisher, Manta and Angler 3.0. The other was the "Tackle Table", a plastic working deck that slotted into the ditty trays and created a flat working surface handy for a fisherman using bait or to make a stable platform for a crate to hold fishing/camping gear. Would be disappointing if these upgrades were not made available. I will also be trying to keep up to date with Lifetime Kayak products so keep checking the blog. Unfortunately two of the major accessories that were partly the reason I purchased my Lifetime / Dragonfly kayak have still not been released. I have quizzed lifetime in a couple of emails over the past year without success as to when a possible release date for the Sail Away kit and Motor Mount to suit the Sport Fisher / Manta / Angler 3.0 range of kayaks. I shall make some additional enquiries over the next few weeks and see if any additional information is available. I'm looking forward to using the Sail Away kit (pictures of the kit in the gallery).